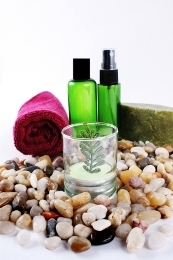 Natural skin care with wholesome ingredients is essential in today's age and environment. Your skin already has too many pollutants originating from the air causing dryness, rashes, bumps, and premature aging. Not to mention the special care needed by such conditions as psoriasis, eczema, dermatitis and dry scalp symptoms . The question I often ask people is,”So why add more harmful irritants using synthetic skin care products? Although most of my customers are committed to natural foods and remedies, there are still many people who aren't as selective when it comes to choosing natural skin care products. Because new skin is constantly being generated, and because it plays such an important protective role, it makes sense to choose nourishing ingredients. The bottom line is that natural skin care is better. 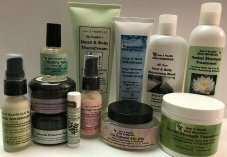 Moisture and lipids from plants like calendula, comfrey, chamomile and shea butter are extremely compatible with your skin and contain important nutrients as opposed to petrochemical(petroleum based) ingredients such as mineral oil, paraben preservatives, artificial dyes and fragrances, stabilizers and emulsifiers. Large companies use them because they're cheap or because they allow a product to sit on a shelf for 5+ years. Many of these harmful chemicals won't just stay on your skin's surface. Your skin will absorb some of them damaging not only your skin but your bloodstream and organs. But when your skin absorbs a natural moisturizer, created with only healthy ingredients, you're absorbing the nutrients in those ingredients. The challenging part is trying to read the ingredients on the labels today which can be a journey in scientific, unpronounceable garble. Here's my recommendation: if you cannot see what an ingredient's source comes from, I recommend you refrain from purchasing it. After all, would you trust something that remains a mystery on your skin or the skin of your family?? Certainly NOT! Some skin products as well as hair products even contain borderline, over the counter, drug like chemicals that produce unnatural effects on your skin or within your body. Great care must even be taken when purchasing baby care products! "Buyer Beware" is an age old saying that still holds true today when selecting natural skin care products. To simplify things, I've put together a basic list of ingredients to STAY AWAY FROM!! 2) Detergents and Surfactants - the most common being sodium laureth sulfate. 4) SD Alcohol -"SD" stands for specially denatured and means a small amount of methanol has been added to the ethanol to make it poisonous as well as very drying. 5) Synthetic Emulsifiers and Solubilizers. 6) Pertroleum – they use this to make gasoline. 7) Mineral Oil – this is a by product of making gasoline from petroleum. 8) Parabens - artificial chemicals, used as preservatives in cosmetics (studies show this ingredient may cause cancer). 9) Harsh Acids - Tars Or Steroids (including Hydrocortizone which thins the skin and weakens your immune system). 10) DMDM Hydantoin- formaldehyde-releasing agent that is used as a preservative - a very harsh chemical that is also used to preserve corpses--imagine that! 11) Propylene Glycol or DPG - these are cheap, synthetic fillers. 12) Phthalates - are problem toxic chemicals known to hurt the immune system. 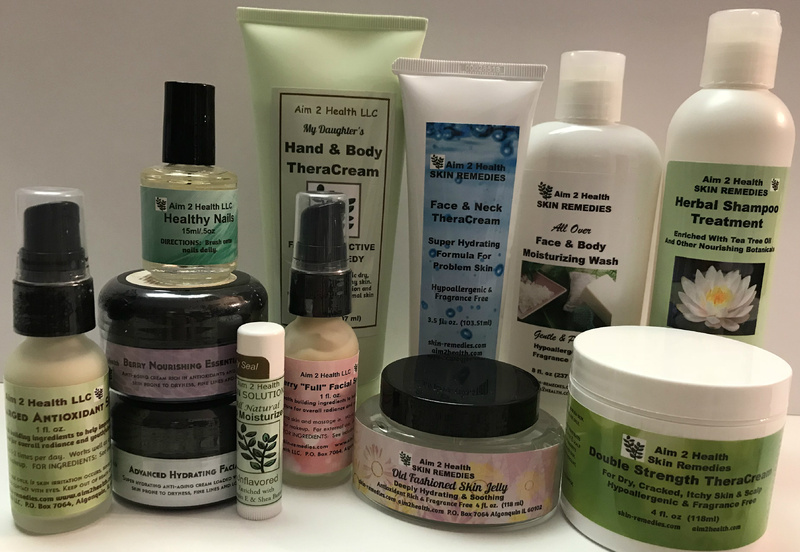 My strong recommendation is to use ONLY natural skin care products with wholesome ingredients for your particular skin treatment that are pure and gentle enough for your entire family. Ingredients such as: Shea Butter , Vitamins A, C and E, Herbal Extracts such as Chamomile, Calendula, Comfrey, Grapeseed Extract, Urea work tremendously well on all types of skin and scalp problems. Also look for the words that signify a level of purity in natural skin care products such as: Fragrance Free, No Dyes, Hypo-Allergenic. You will see a remarkable difference in the reaction and response of your skin and scalp as you use only natural skin care products with health promoting and restorative ingredients. Notably, the body does not build resistance to natural remedies as it does to drugs and other harmful chemicals. Just as the body would continue to benefit from wholesome foods so in turn, the skin will continue to benefit from the health building ingredients in our products. 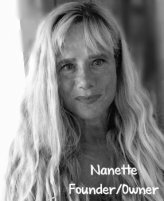 Below you will find a link to the products I recommend that, in my professional opinion, work BEST for natural skin care. Your site is TRULY WONDERFUL...thank you very much for the excellent information! The information provided was TREMENDOUS & most informative! I am a huge fan of natural products and I sincerely appreciate your work. Many thanks also to your "Stellar" Customer Service Team...Very Best Wishes & Gratitude.